Under the Solicitors (Northern Ireland) Order 1976, all solicitors are commissioners for oaths, which mean that they can witness official documents other than those prepared by themselves or their opponents in a case. A notary public is an officer who can administer oaths and statutory declarations, witness and authenticate documents, and perform certain other acts depending on the jurisdiction. They can also witness documents for use abroad. For ease of use the Notaries Public list includes the names of Solicitors, their contact details and when they were appointed as a notary public. 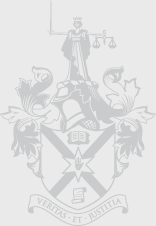 The College of Notaries Northern Ireland is the professional body of those solicitors practising as Notaries Public in Northern Ireland.